. @RRMGOP: It is very alarming to see that the 2020 Democrats— none of those presidential candidates showed up to AIPAC. #AIPAC should be celebrated, not boycotted. The United States will always stand with Israel. "Hezbollah seeks to set up terror networks on the border between Israel and Cereal..."
. @KamalaHarris donors include former AIPAC president Amy Friedkin, the first woman to head the group. I have no issue if Frum or anyone else wants to argue that Omar's comments about AIPAC or Israel played into antisemitic tropes. That's a legitimate argument. But to claim, or paraphrase, in an Atlantic piece that she spoke "about Jews" is flat false and a smear. The Israeli Lobby is Worried Kushner's laughable "Peace Deal of the Century" will give Iran a boost. I took a look at @WhipHoyer’s Twitter feed. Not a single word about the death threats and abuse and bad-faith attacks against his freshman colleague . @IlhanMNBut he was happy to dunk on her in front of AIPAC. 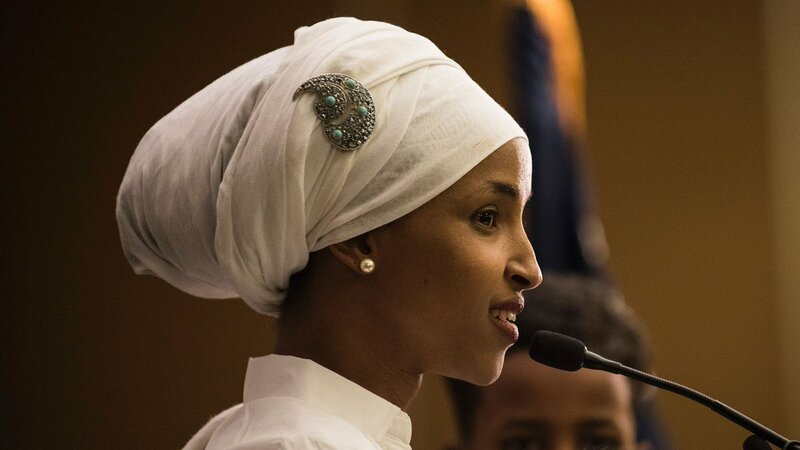 @JobModeSD @ParkerMolloySame issue in which she criticized with a lot of nuance how members of Congress and the executive branch were captured by far-right Israeli interests via AIPAC, and it was reported as her accusing Jews of dual allegiance. She accused CONGRESS. She's right. Criticizing AIPAC is not anti-Semitic. Criticizing the Israeli government is not anti-Semitic. American Jews know as well as anyone else that this is a disingenuous smear tactic to silence anyone who supports peace with justice in Israel and Palestine. I really don't think the Democratic establishment and AIPAC and others have quite grasped just how much they are losing and have lost wide swaths of the Democratic party base. Pelosi and Schumer know damn well that @IlhanMN was not engaged in anti-semitism and they intentionally conflate criticizing AIPAC with attacking Judaism and Jewish people. Omar hit a tripwire and the full force of the party was brought down on her.